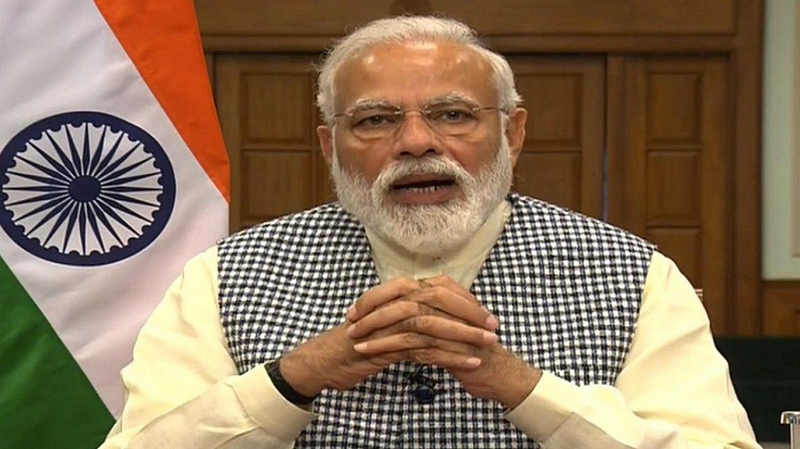 PRIME Minister Narendra Modi onSunday attacked the previous Congress-led UPA Government, saying its leaders indulge din corruption and kept personal interests above national interests. He also alleged that the previous Government “lacked” political will to test-firethe anti-satellite missile despite the country having the capability to build it. ThePrimeMinister also took on the entire Opposition, saying they were chosen for the task by the people, but they failed to live up to their responsibility. Heal leged that the Opposition rake dupall the wrong issues like national security and seeking proof of Balakot airstrike thus questioning the armed forces. He only referredto“proof” but did not mention airstrike or Balakot. “Why seek proof ... Why talk in favour of Pakistan,” he quipped. Modi also said that his Government has the political will to withstand pressure and take immediate decisions in national interests. “Delaying decisions of national interests amounts to criminal negligence,”he said at the launch of TV9 ‘Bharatvarsh’ news channel here. Noting that his Government believes in “commitment not confusion” Modi alleged that those who earlier ran the country created hurdles inthe path of development due to “corrupt behaviour”. He alleged that these in power in the past chose “personal interest before national interest”. “Were not they responsible to make things (system) fool-proof to check corruption ... But the intent was not honest,” he claimed. He said the then Government delayed the decision on forming a special investigation team to probe black money. “We decided to set up the SIT in our very first Cabinet meet,” he said.